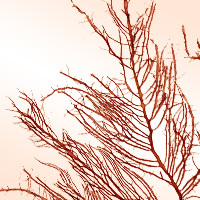 Mukade-nori is a type of red algae that as first glance may represent centipedes. After harvesting it is treated with lime, salted, and dried. Most mukade-nori available commercially has salt removed. The calories in Mukade-Nori per 100g(1serving) is 10 calories. Mukade-Nori is calculated to be 10Cal per 100 grams making 80Cal equivalent to 800g with 4.2g of mostly carbohydrates、0.6g of protein、0.1g of fat in 100g while being rich in vitamins and minerals such as Niacin and Magnesium.